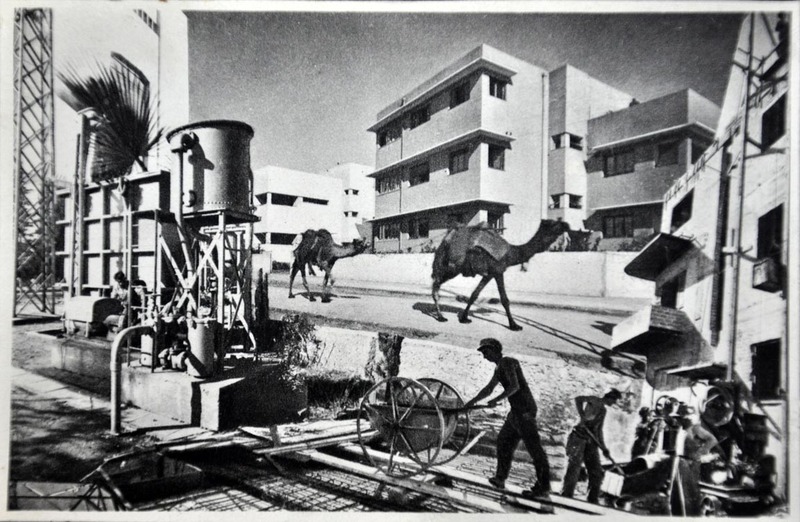 In the second phase of planning, when Tel Aviv expanded east, commercial areas were included. He Be’lyar is one of these zones. Wrapped around a circular dog park, the city’s high end boutiques and fashion labels occupy the ground floors of these bigger, bolder and commercially more friendly buildings. 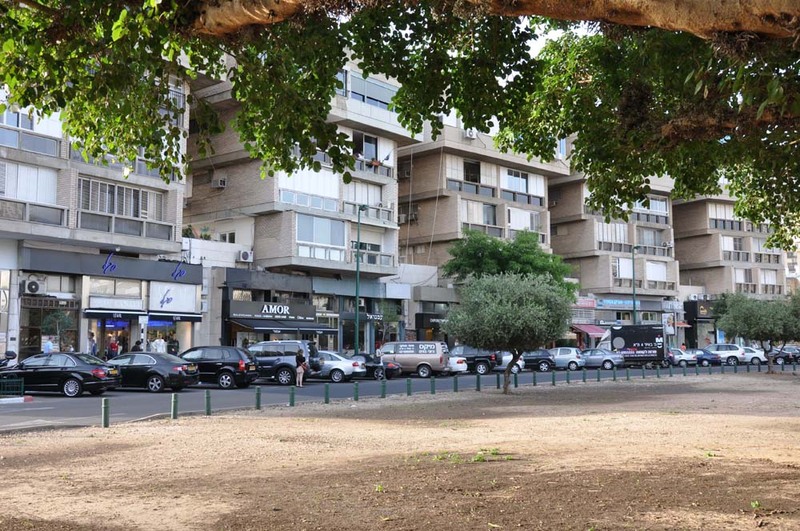 Though perhaps not the most exciting or beautiful solution, this plan for a commercial area in the second phase of Tel Aviv exhibits design characteristics that I would say were based on the original alterations. Whether they were expressly considered by the architect, or if the new buildings simply conform to market needs, I cannot say. I imagine both were at work. Regardless, in either scenario the buildings are adapted to a more economically driven circumstance. 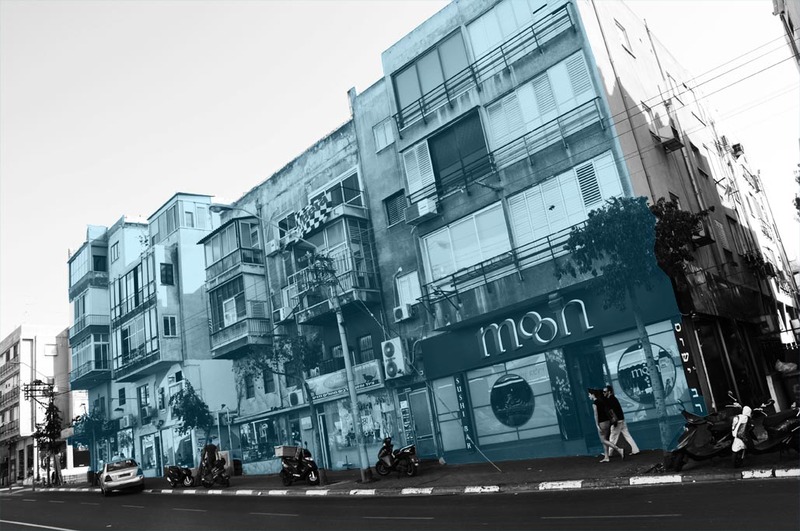 The upper stories contain larger, more flexible spaces for offices, which is what now occupies most buildings in the commercial areas that Tel Aviv has grown. At the ground level, the commercial strip is continuous, because all of the space at the sidewalk is valuable for visibility. At the top, structures already occupy the terraces. 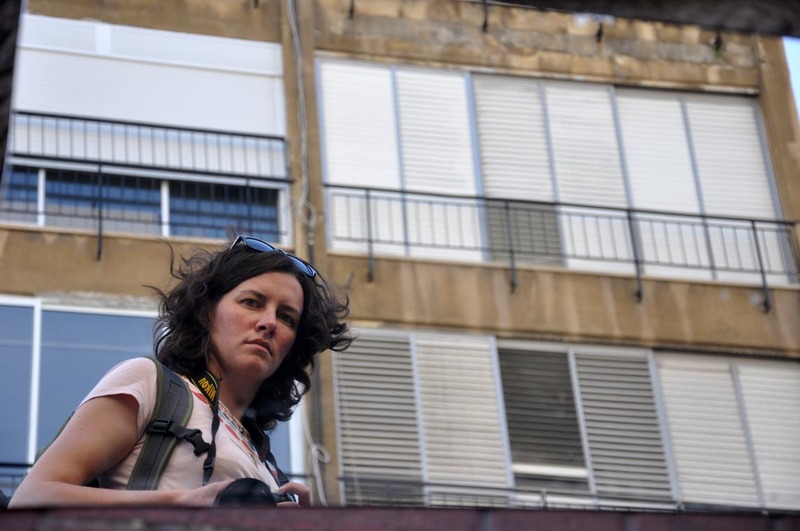 The city is learning, but newer structures have already been altered by their tenants! 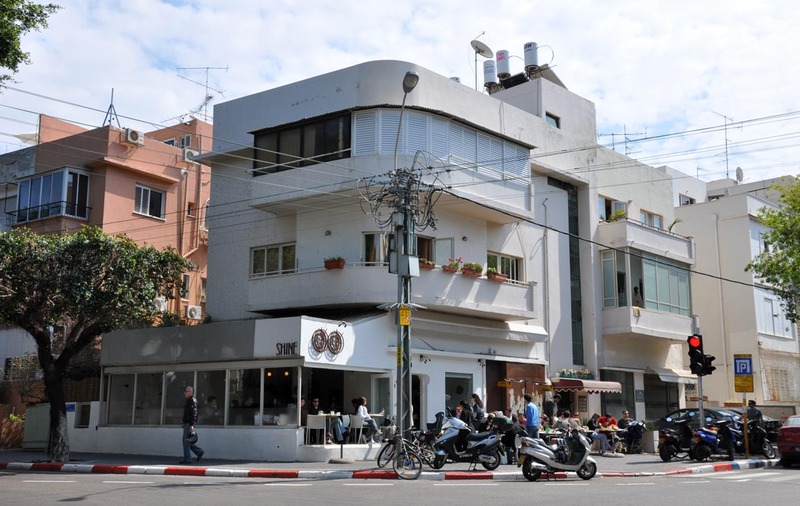 Tel Aviv is preserved as the White City, a city of modern cubes. 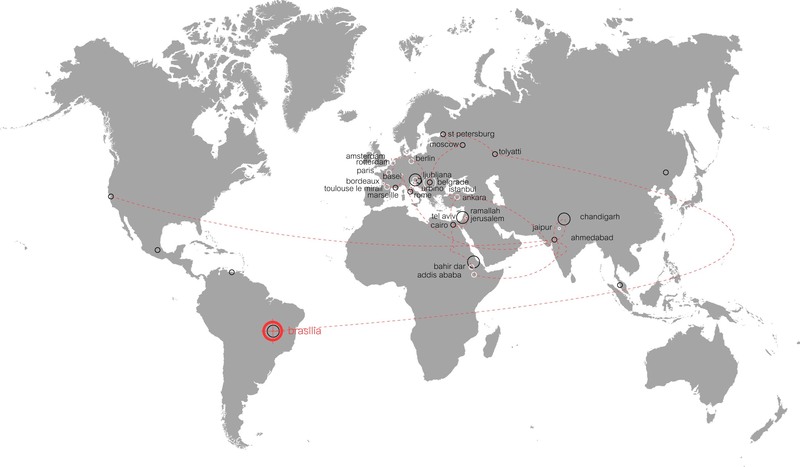 In its bid for world heritage status, the authors describe the city as a result of the intersection of modern planning and architecture. Certainly a simplification, the description actually goes too far in combining its planning and architecture. 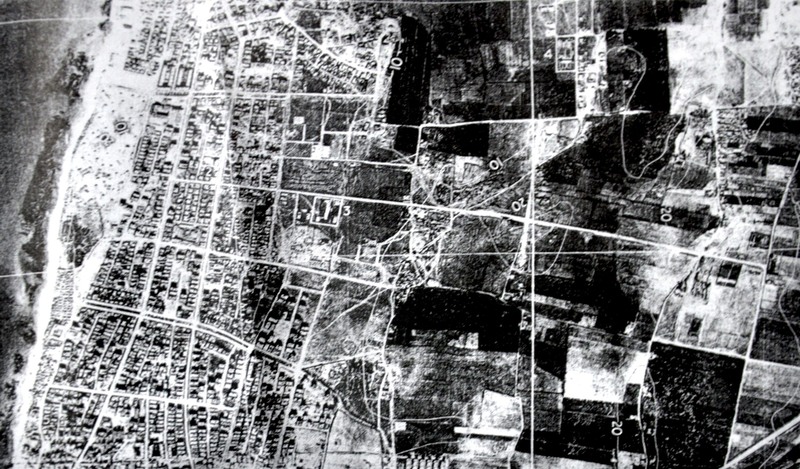 Actually, as it has been argued since, the architecture came from a modernist school of thought that supported open, fluid space in which were placed building objects, while the planning was based on early twentieth century garden city concepts, which by 1927, when the plan was adopted, were no longer avant garde. Basically, Geddes made a denser plan with smaller lots than was in vogue. He also based the major roads in his plan on the existing roads, and then organized the infill. Functional zoning unconsidered, he was planning a garden suburb whose only real zoning category was residential, with some space for residentially based commerce. Within a restrictive plan and lot division, architects may have envisioned a sea of white cubes. Or, they simply built out their buildings to the maximum size after the setback regulations that governed all sides of each plot. 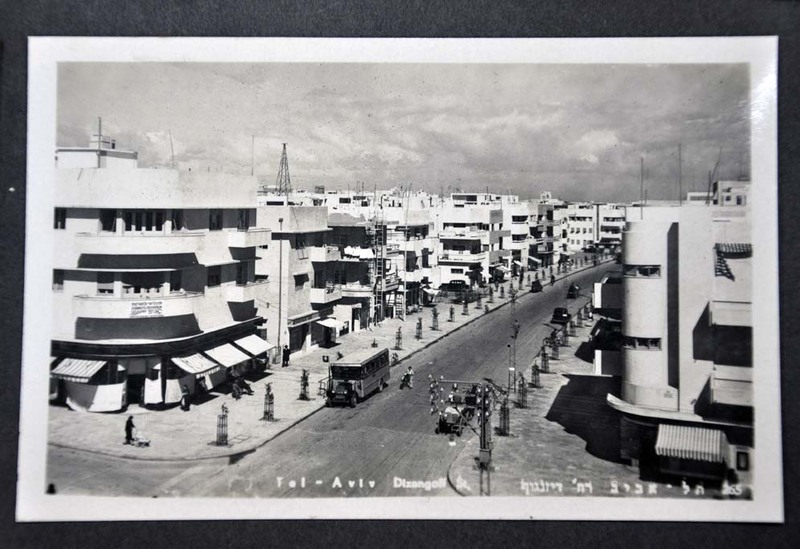 What it produced was a new kind of street in Palestine, one that held a depth of open space on either side. According to Nicky Davidov, the simplicity of the building design drew emphasis away from each building, allowing the street edge to function as a whole, while still creating a somewhat fluid space through the presence of the gaps in each lot. The buildings acted as volumes that filled out the street space. 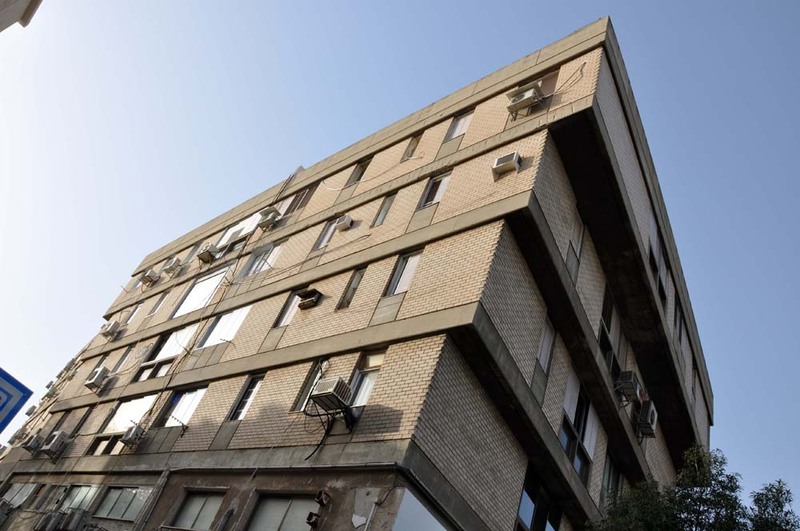 Since then, the building volume has flattened into a continuous edge along the street. Growing vegetation obfuscates the side and back lots, and in some cases the front facades as well. New additions to the sides of buildings in commercial areas fill in the side lot gaps at the ground level, creating a continuous edge along commercial streets. 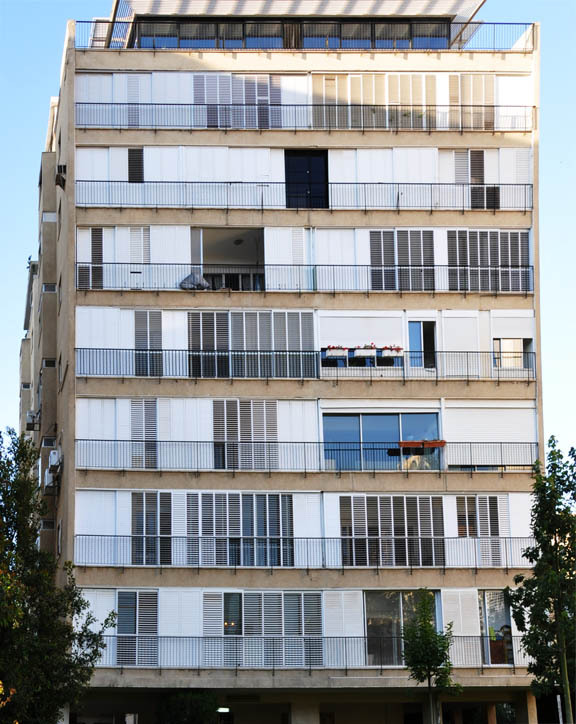 Balconies have been filled in with plastic shades, disconnecting the inhabitants from the street, and further flattening the facades. But it is not only additions and alterations that have affected the streetscape. The buildings themselves were primed to support that shift. 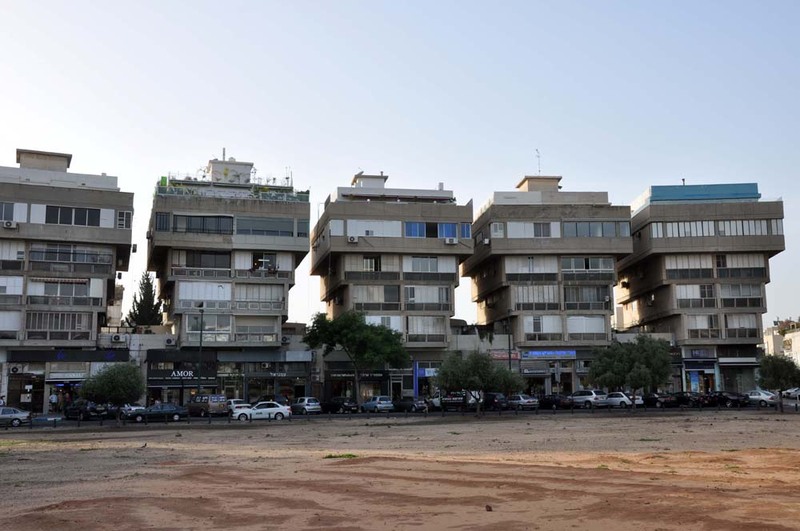 The buildings, though described as white cubes, were built with emphasis placed on the front façade, both in geometry and surface treatment. So as the side lots began to fill, the already secondary building faces disappeared altogether. 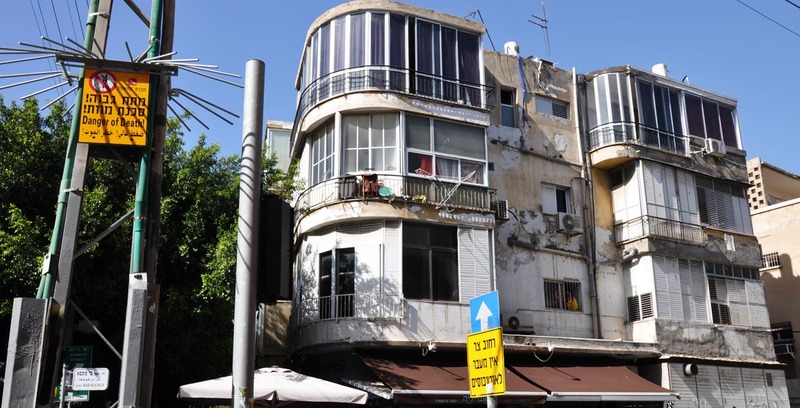 In the case of Tel Aviv, I think the relationship between what people have done to their individual buildings, apartments and shops, both for commercial and residential purposes, has impacted both the block and the city. Designed without major commercial centers, these have grown through demand and eaten through the residential fabric, changing not only the appearance and function the buildings, but also the streetscape and city-wide traffic patterns, both pedestrian and vehicular. 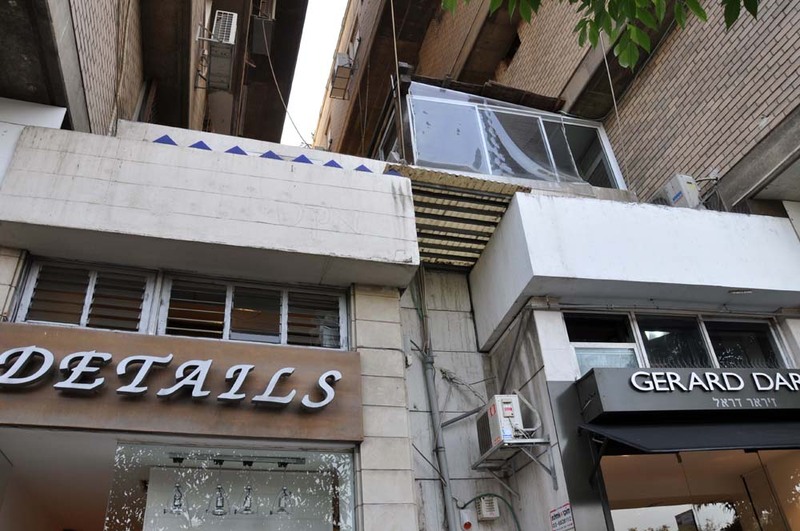 Following are various types of building alterations I have discovered in the urban fabric of central Tel Aviv, which repeat throughout the city, and have had the power to change both the existing fabric and newer implementations of the plan. Most restaurants put tables and chairs out during the day. Some even borrow public benches for their services. As a practice that gradually builds permanence, these start chairs, add paint on the ground, then move to flowerboxes and awnings, and finally construct an extension to the building. Restaurant owners also build out into arcades, but always leave a gap for pedestrians. So while the access remains intact (though now feels semi-private), the permeability of the arcade disappears. Filling in the gap is another common practice. Because the majority of the area was residential, almost all buildings were setback on all sides from the property line. In the homegrown commercial areas, owners have compensated by adding a single story addition to the side of their building, which creates a continuous shop-filled edge along the sidewalk. Usually one side builds out to the lot line, while the other leaves a narrow space for access to the back of the buildings. In areas that have remained residential, one of the key components for alteration has been the balcony. 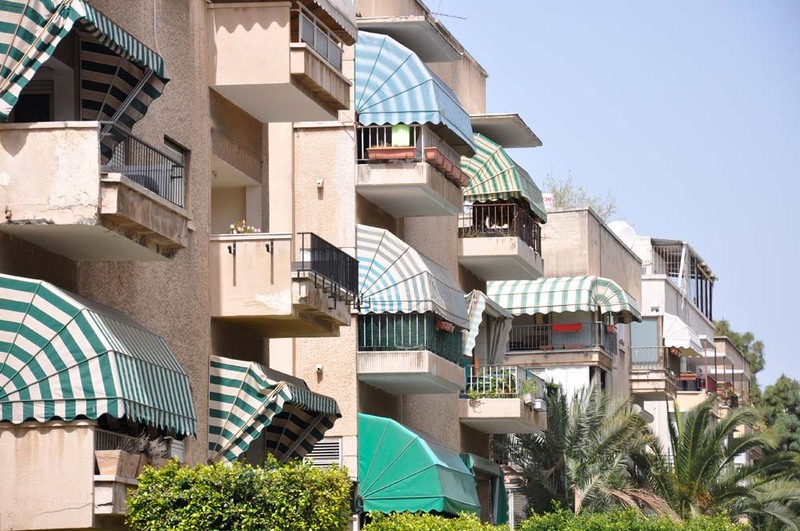 Plastic shades were the original way to enclose balconies. They closed off the connection to the street and flattened the façade. 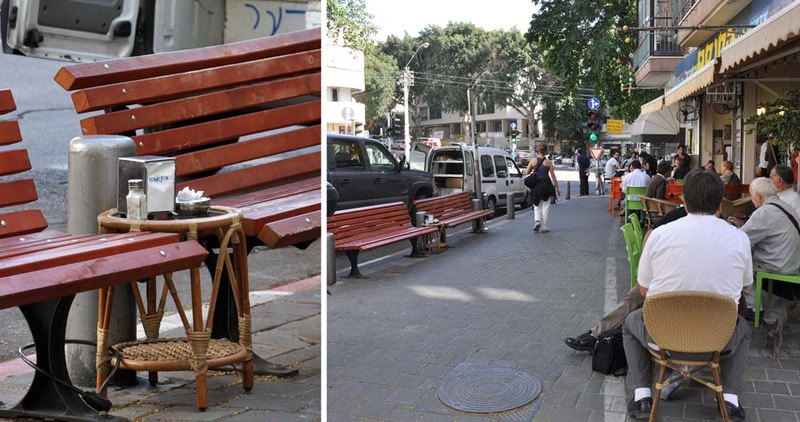 Nissim Davidov, Nitza Smuk and others have written about this phenomenon throughout the city. Now these shades are being replaced by glass, which might reopen the visual connection, but still cut the aural relationship. 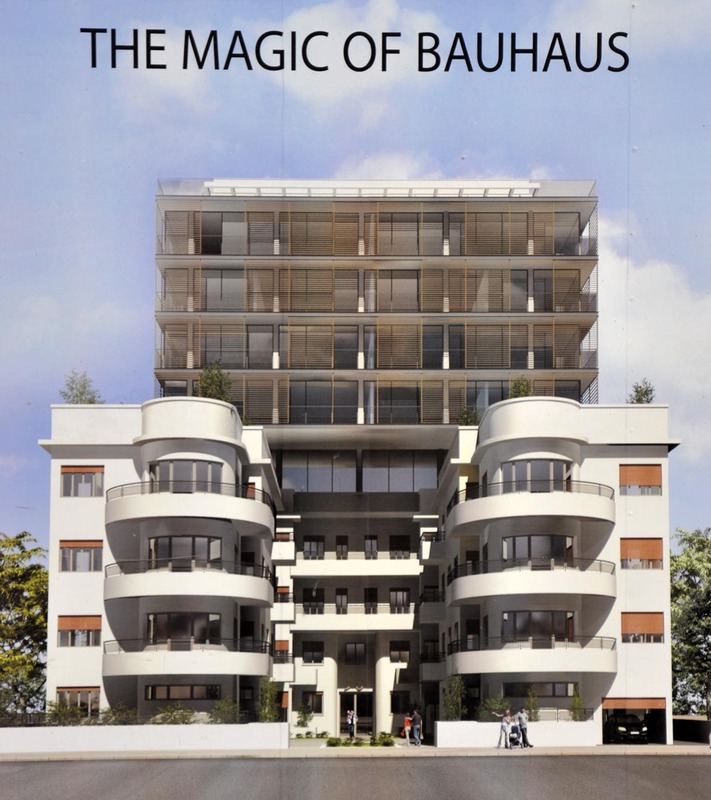 Finally, 2 story penthouses pepper the terraces of the buildings. New regulations allow owners to add two stories to their buildings as an incentive to renovate. Each act happens in the interest of the individual owner. But an individual act sets a standard, and others follow. 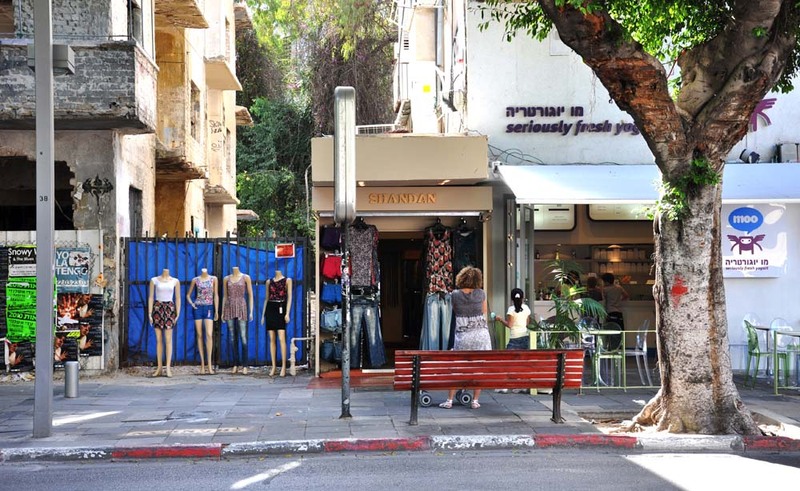 These moves have rippled around Tel Aviv until they have restructured the street and sidewalk, and moved commercial zones deep into residential areas. 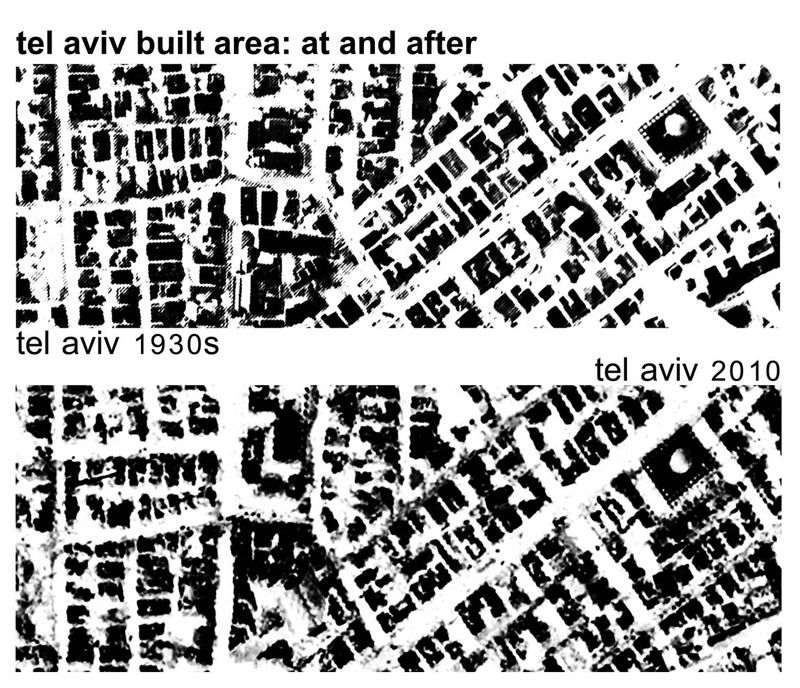 Furthermore, many of these changes to existing buildings have been incorporated into the planning and design of later phases of Tel Aviv. More on that later…. 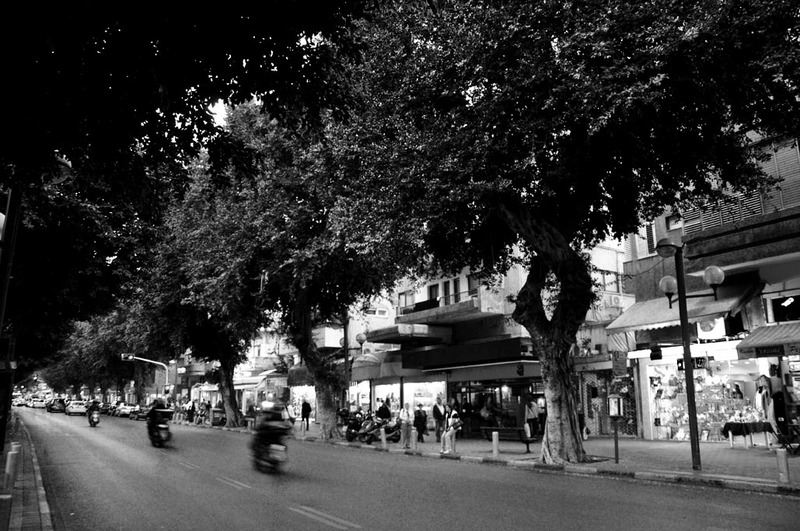 At long last I have uploaded a page for the background of Tel Aviv. Check it out. 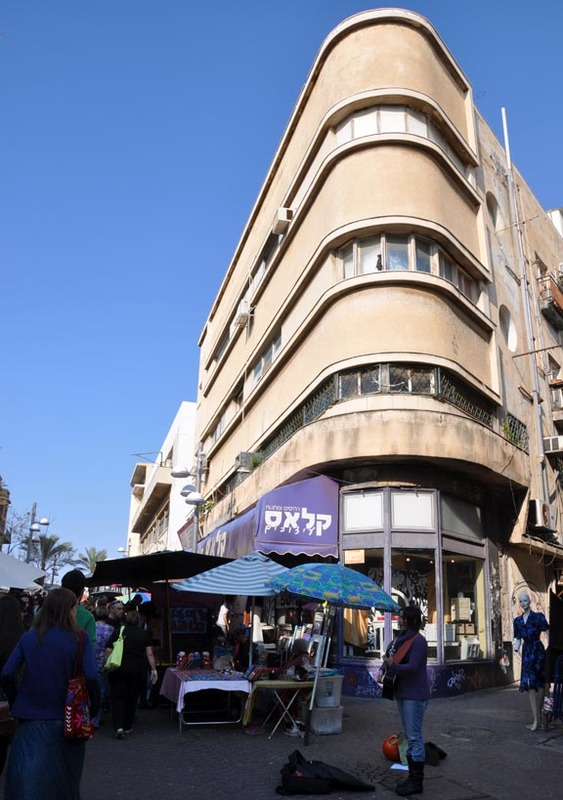 I have been in Tel Aviv now for a few weeks, soaking in the city, digging through archives and snooping around buildings in various neighborhoods. I have many thanks to offer…once again I have experienced wonderful generosity from many people here and around Israel/Palestine. 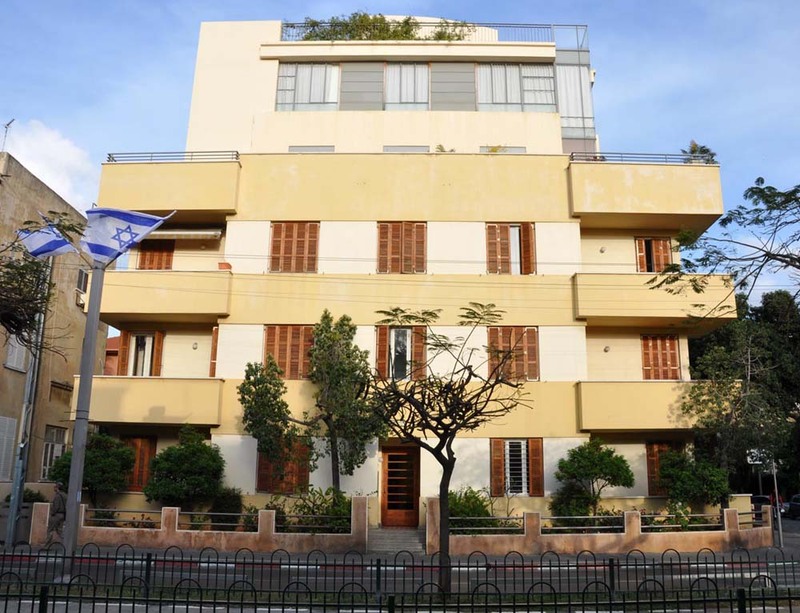 Sahar, Danna, Opher, Liya & Mikael, Yael, Yahel & family, Itai & Adi, Rachel, Nicky, Neta…. Today I had an illuminating conversation with Mr. Nissim Davidov, who is a fountain of knowledge on the planning and architecture of Tel Aviv. After our talk he graciously offered to walk with me through the city, discussing the stories behind the buildings, gardens and squares as we passed them. 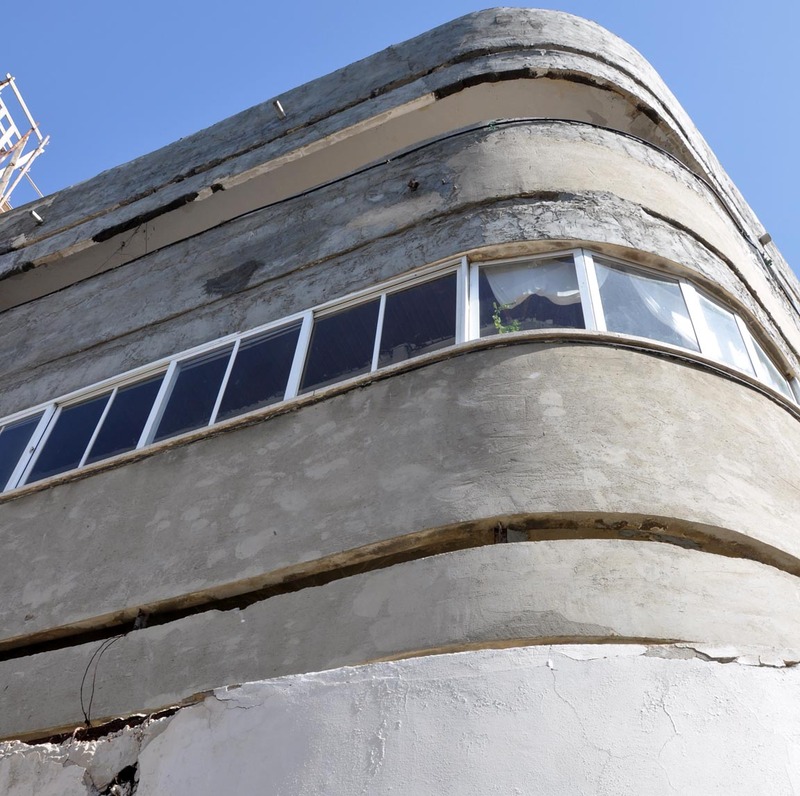 Tel Aviv’s modern architecture, the ‘bauhaus’ collection, has far less to do with the modernist principles that began the movement than it does with the sleek appearance of the façade. This façade, not produced by an ‘honest expression of the interior’ instead creates a homogenous backdrop for the now lively city. In most (perhaps all) buildings, various additions and alterations have crept in. Most common are balcony enclosures, which were first done with plastic shutters and now upgraded to glass. At the street, restaurants creep out and borrow space from the ample sidewalks. And without human intervention, the heavily salted air from the Mediterranean works hard to break the stucco and concrete surfaces. 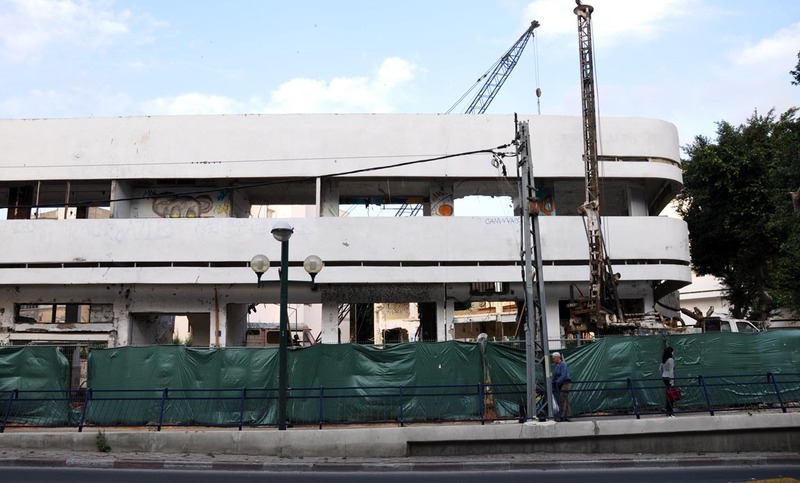 In Zina Square on Dizengoff Street, at the center of planned Tel Aviv, the façade’s importance (or building’s lack) reaches a high point. 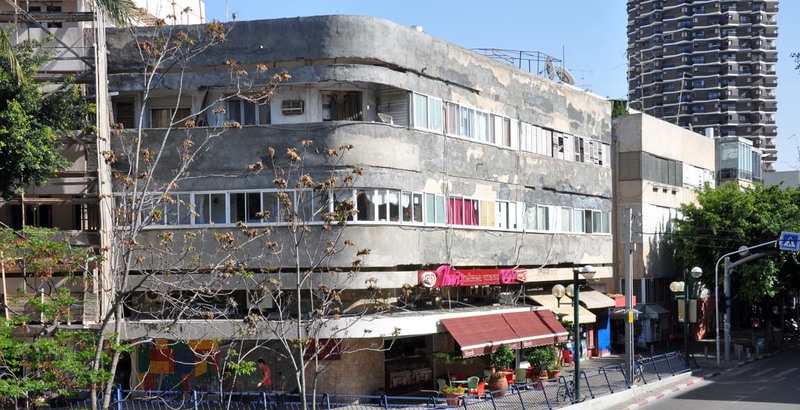 Here, one of the seminal Tel Aviv buildings was bulldozed for remodeling…while the façade remained standing. And the gulf between façade and building is growing. 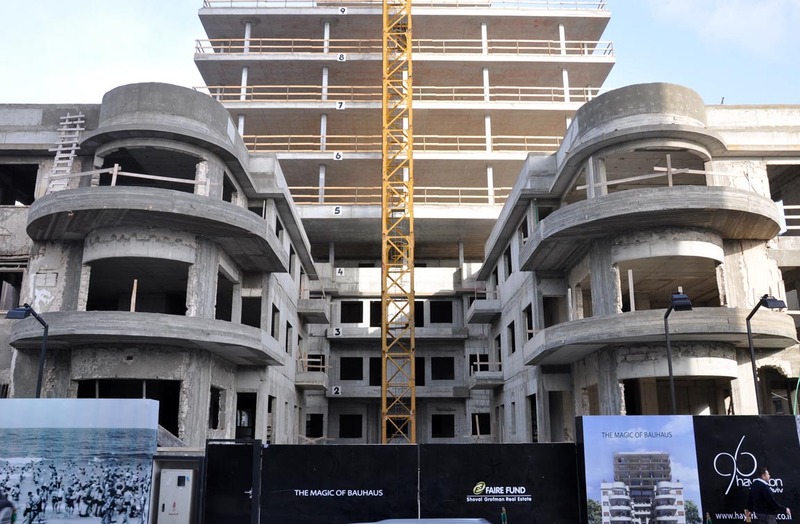 Notice the project (one of a few I’ve seen) under construction in south Tel Aviv.